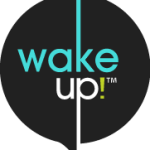 Wake Up Sizzle – Wake Up! I have to say that I really love the format that the show is happening. I know that this is a promo and that you have the capacity to get the best moments, but even so great job and I wish you a lot of success.